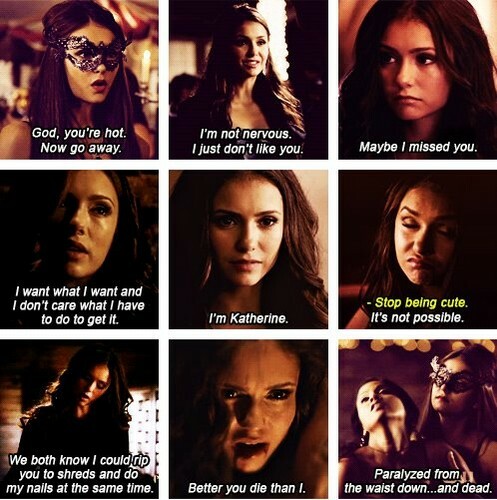 Katherine <3. . Wallpaper and background images in the Katherine Pierce and Elena Gilbert club tagged: katherine pierce the vampire diaries nina dobrev katherine. This Katherine Pierce and Elena Gilbert photo might contain retrato, headshot, close up, closeup, anime, banda desenhada, manga, desenhos animados, mangá, and quadrinhos.